This ticket allows general access to Music On Festival 2019 on Saturday 11th May - Sunday 12th May. This ticket allows general access to Music On Festival 2019 on Saturday 11th May. This ticket allows general access to Music On Festival 2019 on Sunday 12th May. Create your own Ticket + Hotel Package here! The WOW Hostel provides affordable accommodation and also offers a restaurant. 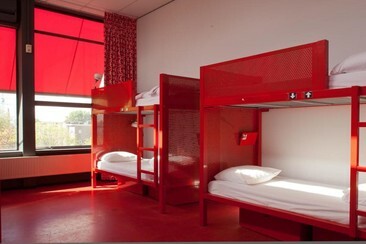 The hostel houses art exhibitions, making WOW the perfect place to experience Amsterdam's cultural and artistic attractions. The WOW lobby, restaurant, and inner gardens are open spaces where you can meet fellow travellers and recent art school graduates. The WOW Hostel features different types of clean dormitories, ranging from 4, 6 and 8-12 people, decorated in primary colours. Sloterdijk Station is 1.5 km from WOW, and Westergasfabriek is 2.2 km. Local attractions include the Anne Frank House, Vondelpark and Lediseplein, all within 5km of the hostel. Bastion Hotel Amsterdam Amstel is just 750 yards from Amstel Business Park and just over 4.3 miles from the city centre. It offers free Wi-Fi and free private parking based on availability. It is also a 15 minutes’ drive to Schiphol Airport. 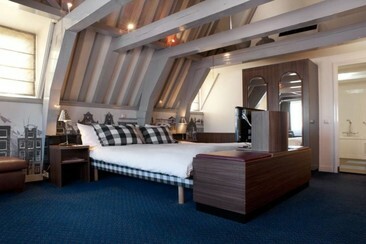 Bastion Hotel Amsterdam Amstel has rooms with free tea/coffee making facilities and a minibar. All rooms include a work desk, a safe and an alarm clock. Various grill specialities are offered for lunch and dinner. Guests can enjoy a drink at the bar or relax in the lounge with comfortable chairs and a flat-screen TV. Bastion Hotel Amsterdam Amstel is a 20-minute walk from Overamstel Metro Station. From here, you can reach Amsterdam Central Station in 20 minutes and the RAI Exhibition Centre in 5 minutes. It is also around 550 yards from the A10 Ring Road. 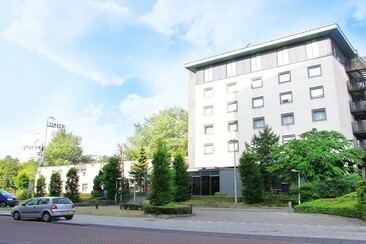 Bastion Hotel Amsterdam Zuidwest is a 5-minute drive from the A10 motorway. It has private parking and a special lounge for smokers. The rooms have free WiFi access and coffee and tea facilities. A continental breakfast buffet is available in the morning. Bastion Hotel Amsterdam Zuidwest has a 24-hour reception, a restaurant and a bar. You can use the free internet computer in the lobby and relax in the lounge with air conditioning and lounge chairs. The Delflandlaan tram stop is an 8-minute walk away and offers direct access to Leidse Square, Dam Square and Amsterdam Central Station. Schiphol Airport is a 10-minute drive away. The Hotel Amsterdam De Roode Leeuw is located in an amazing location, just off Dam Square and right in the middle of Amsterdam's city center. Amsterdam’s leading department store De Bijenkorf, is located directly opposite the hotel. Public transport is a few steps away and trains to Schiphol Airport leave at regular intervals. It's a 7-minute walk from Centraal Station and 11 minutes from Anne Frank House. Amsterdam City Centre is a great choice for travellers interested in architecture, city trips and walking. All rooms feature free Wi-Fi and double-glazed, soundproof windows. Amenities also include air-conditioning, TV, minibar and coffee- and tea-making facilities. The 4-star hotel featuring 239 stylish rooms and suites providing guests with free WiFi internet throughout the premises. 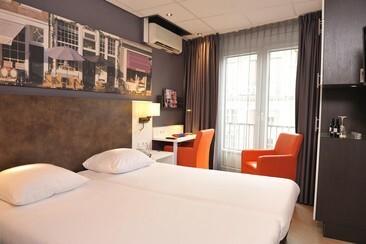 All rooms are air-conditioned and have a warm decor with access to a luxurious private bathroom and climate control. Enjoy breakfast in the trendy hotel restaurant with a glass of champagne and end with dinner in the restaurant Humphrey's which is next to the hotel. Visiting Amsterdam is a true experience. Inntel Hotels Amsterdam Centre is the ideal starting point for exploring the city. Located in the heart of Amsterdam at a traffic-free square between Central Station and the Dam, the hotel is within walking distance to the canals and all city highlights. Music On Festival is an electronic music festival in Amsterdam. With a lineup of heavy-hitting techno acts, the festival is two days of banging beats. 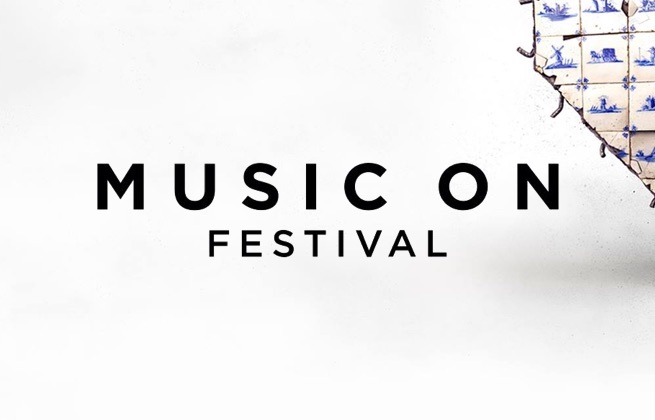 Back for a third edition, Music On Festival has become one of the genre's most respected in The Netherlands. Founded by Marco Carola and his Music On label, the festival mixes up and coming acts with established stars. Havenpark is a lush, open park with a bit of an industrial vibe, making it perfect place for a summer music festival.